There are many different printing styles available. All vary in printing technique, timeline and investment. Below we have rounded up the most used (and our most loved) styles so that you can choose your favorite. Foil stamping, hot stamping or hot foil stamping is the application of pigment or metallic foil to paper using a heated die. The die presses the foil onto the surface under pressure, leaving the design of the die on the paper. Foil stamping is available in many colors, including: gold, rose gold, silver, white and more. In the printing industry, Embossing refers to a method of pressing an image into paper or cardstock to create a three dimensional design. 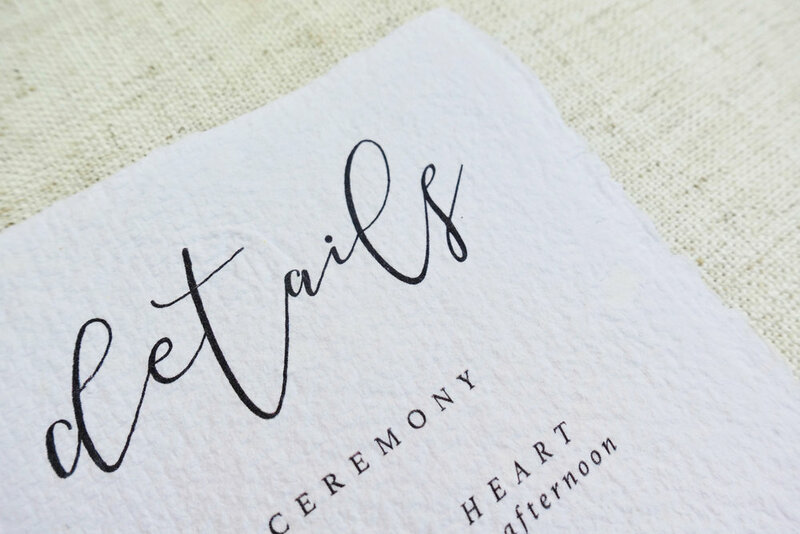 Text, logos and other images can all be formed by the embossing method. Embossing results in a raised surface, with the design higher than the surrounding paper area. Digital printing refers to methods of printing from a digital-based image directly to a variety of media.